The Forever Flawless Diamond infused Platinum Collection is our premier and most advanced collection. This collection is based on revolutionary scientific breakthroughs that generate instant lifting effect. The ultimate goal of this Platinum Collection is to tone, tighten, and contour to result in significant reduction in the appearance of wrinkles, fine lines, and other signs of premature aging. The Forever Flawless Platinum Collection is comprised of our Diamond Infused Instant Face Lifting Cream and Serum, the revolutionary Snake Venom Correcting Cream, and the Forever Flawless Cooling and Hydrating Mask. A recommended beauty regimen for the Platinum Collection is as follows: Diamond Infused Face Lifting Cream once a week (max) or as needed. Apply the Instant Face Lifting Serum and Cooling and Hydrating Mask 1-2 times per week. We recommend using the Snake Venom Correcting Cream 1-2 times per week or as needed. To maximize and boost results, use daily for 2-3 weeks. The Platinum Collection can serve as an alternative for more invasive and expensive facial treatments. Forever Flawless Instant Lifting Cream is a revolutionary scientific breakthrough. This cream is a key component in our age‐defying beauty care system and is the first step of our Instant Lifting system. It instantly lifts and tightens the skin, to create a more firm and youthful appearance. Formulated from a proprietary peptide complex of specialized lifting and firming ingredients and the finest natural diamond powder, this Instant Lifting Cream tones, tightens, and contours your skin, instantly reducing the appearance of wrinkles, fine lines, and expression lines. For best results, follow with Forever Flawless Instant Lifting Serum. Stir well. After cleansing, massage a small amount of cream over areas of concern, until fully absorbed. A white layer indicates you have over‐applied and to be removed with a wet cotton ball. Follow with Lifting Serum. Use biweekly or as needed. Note: Close product tightly after each use. 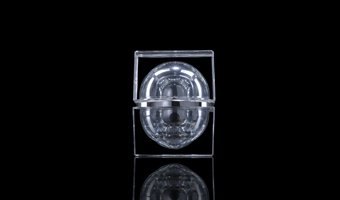 This product generates an amazing lasting lifting effect. Please use sparingly. It is best to wet the area of face before applying the cream and apply over slightly damp skin. This will minimize the white residue that may appear. After the removal of the cream, please also wet the face again with some cotton ball or sponge. 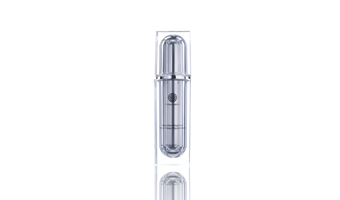 To finalize the treatment and allow your skin for a vibrant perfect look please apply some of the platinum serum on top. Forever Flawless Instant Lifting Serum is a revolutionary scientific breakthrough. 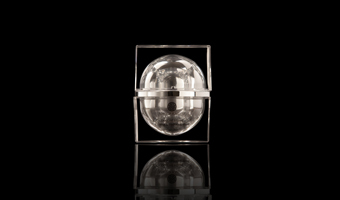 It is a key component in our age‐defying beauty care system and is the second step of our Instant Lifting system. Highly concentrated, this extraordinary serum has been scientifically formulated from a proprietary peptide complex and the finest natural diamond powder, to treat areas where wrinkles and lines form. It lifts, tightens, and firms the skin, while nourishing and encouraging skin cells to build elastin. The results are more smooth, firm and a radiant looking skin. For best results, use after Forever Flawless Instant Lifting Cream. After Instant Lifting Cream is fully absorbed, follow with Instant Lifting Serum. Apply a small amount over the same areas. Use bi‐weekly or as needed. Forever Flawless Snake Venom Correcting Cream is developed to significantly reduce wrinkles and drastically improve skin firmness and elasticity. The key ingredient in this extraordinary cream is an advanced peptide which mimics the activity of Waglerin 1, a polypeptide found in the venom of the Temple Viper, a snake of the remote jungles of Borneo. Like Botulinum Toxin, the amino acids in this synthetic version of the Temple Viper venom block nerve signals that tell your facial muscles to contract, which prevents wrinkles from forming. This cream absorbs instantaneously and, within minutes of application, it relaxes facial muscles, dramatically smoothing expression and frown lines around the forehead, eyes and lips. Forever Flawless Snake Venom Correcting Cream is a safe alternative to more invasive wrinkle corrective procedures such as facial injections, fillers and plastic surgery. It reduces the appearance of fine lines and expression lines, without the loss of facial expression, a common side‐effect of many corrective procedures. The inclusion of natural diamond powder ensures the effective absorption of this correcting cream, achieving long lasting, age‐defying benefits and more youthful, revitalized, healthy looking skin. Shake well. After cleansing apply a small amount of Snake Venom Correcting Cream directly onto targeted facial areas, lines and wrinkles. Gently smooth, until completely absorbed. Use weekly. For best results, research has shown that daily use of this Correcting Cream for 28 days, generates a significant long lasting effect of diminishing lines and wrinkles. After cleansing, apply to face and neck. Let mask rest for 10‐15 minutes. Rinse off with warm water and pat dry. Use 1‐2 times a week. This product can be stored inside a refrigerator to enhance its cooling effect.